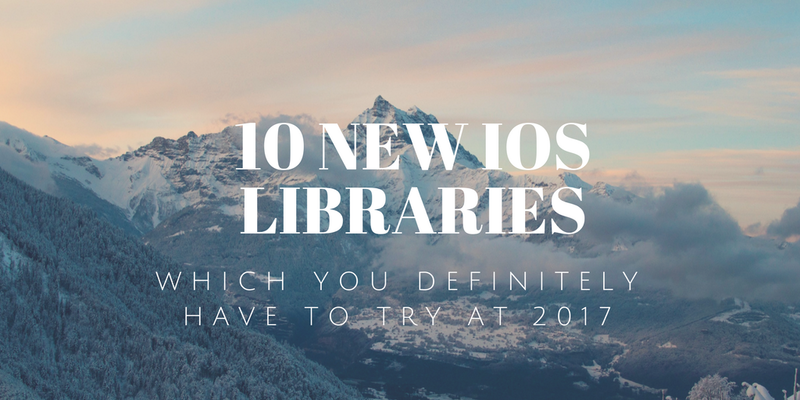 This is a list of 10 great IOS libraries I discovered in first months of 2017. I used in my Swift projects, so you may wish to try. Normally a UICollectionView has no transition effects when you scroll from one item to another. There are lots of ways to write animations for UICollectionView, but using a UICollectionViewLayout subclass is by far the simplest one. And it doesn't break any of your existing code. You can still use your UICollectionView subclass and you don't need to change your UICollectionViewCell. Just plug and enjoy. ESTabBarController is a highly customizable TabBarController component, which is inherited from UITabBarController. Tiny Constraints is the syntactic sugar that makes Auto Layout sweeter for human use. GitHub - roberthein/TinyConstraints: Nothing but sugar. GitHub — louisdh/panelkit: A UI framework that enables panels on iOS.